If you're after free stock photos from Fotolia, you've come to the right place. Fotolia, owned by Adobe company, does not offer free images from their collection on their own website anymore. But you can still get great free images from them on Adobe Stock stock photo service, and we tell you exactly how to do it! Fotolia is a stock photo agency with years in business, and a very popular choice for photo buyers. Since late 2014 they are owned by Adobe, the design software giant company. 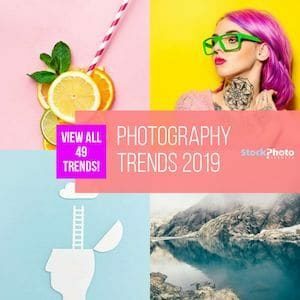 And in mid 2015, Adobe launched a new stock photo service integrated to their Creative Cloud platform, called Adobe Stock, that is powered with millions of images from Fotolia's library. Fotolia remains a stand-alone photo marketplace with its own website, and you can buy photos from them with credits or getting a subscription. Learn more about Fotolia in our full agency review. To start buying images with them, sign up for free at Fotolia here. And if you want to get great stock photos at the best prices, you must seize the opportunity with our special Fotolia Promo Code to get 3 free credits with your purchase! With these credits you will be able to download more images at no extra cost! While initially Fotolia offered a free file section for all their members, this offer is no longer available on their website anymore. 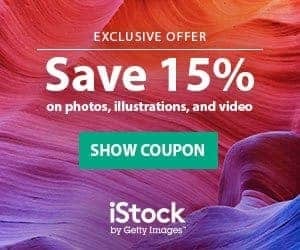 However, Adobe Stock does have a free photo deal available, and as the majority of their images are Fotolia's, this is a great way to get Free Photos from Fotolia! Adobe Stock ‘s offer is based on Fotolia's collection, so getting free photos from them is almost like getting Fotolia free photos. But Adobe Stock is better, because you can get more free photos, and they can be of your choice. And you can cancel within the first month, risk-free! Adobe Stock's special free monthly trial lets you get up to 10 high quality photos for free within one month. All you have to do is to sign up on their website, and to get the 10 images a month, annual plan. The first month will be free of charge, and you'll be able to search, find and download up to 10 images from their library during that month, completely free. After the first month is over, you will be charged $29,99 a month for the plan. But you can cancel your subscription at any time before the first month's expiration date, and then they won't charge you any fees. Find out more about the service in our full Adobe Stock review. If you are wondering which of the two stock photo offers to is best for you, check out our Fotolia vs. Adobe Stock comprehensive comparative review. And don't forget to try Adobe Stock free for one month!